Sysmex and MolecularMD will partner to develop and commercialize companion diagnostics for precision medicines through a master collaboration agreement whose value was not disclosed. Under their non-exclusive agreement, the companies said, they aim to align and accelerate commercialization of companion diagnostics with therapeutic drug commercialization, as well as leverage the companies’ experience with regulators in the U.S., Europe, and Japan. 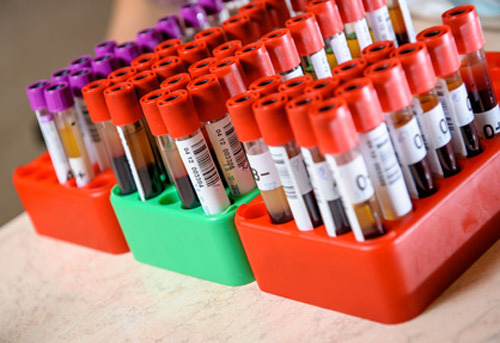 Sysmex focuses on clinical laboratory systemization and solutions, but said it has been exploring opportunities in developing liquid biopsy tests and companion diagnostics with proprietary technologies. On November 5, Sysmex announced the publication days earlier of a study in Annals of Oncology concluding that its Sysmex Inostics unit’s OncoBEAM circulating tumor DNA (ctDNA) technology showed superior response prediction for advanced pancreatic cancer over standard-of-care protein biomarkers. OncoBEAM is based on BEAMing technology developed at Johns Hopkins University. In addition to Sysmex Inostics, whose mutation detection technologies include BEAMing and Plasma Safe-Sequencing, other components of Sysmex’s portfolio are RIKEN GENESIS’s assay development, clinical validation and regulatory capabilities in Japan, as well as Oxford Gene Technologies’ portfolio of assay kits and unique technologies from the UK. MolecularMD is a developer of tests designed to allow appropriate selection, monitoring and management of patients treated with molecularly-targeted and immuno-oncology cancer therapies. MolecularMD is the exclusive manufacturer of the MRDx® BCR-ABL Test, a companion diagnostic for chronic myeloid leukemia (CML) patients in the chronic phase who are being treated with Novartis’ Tasigna® (nilotinib) and who may be candidates for treatment discontinuation and monitoring of treatment-free remission. The collaboration could be expanded with additional partners, Sysmex and MolecularMD added.